That effigy change didn't do any favors to that button, I'll tell you that much for a dated power. Does aviator and agility drift work on wukongs cloud walk. exploiter orb was buggy the first time, and there wasn't anything in the drop tables i wanted. I only did it once and that was it. 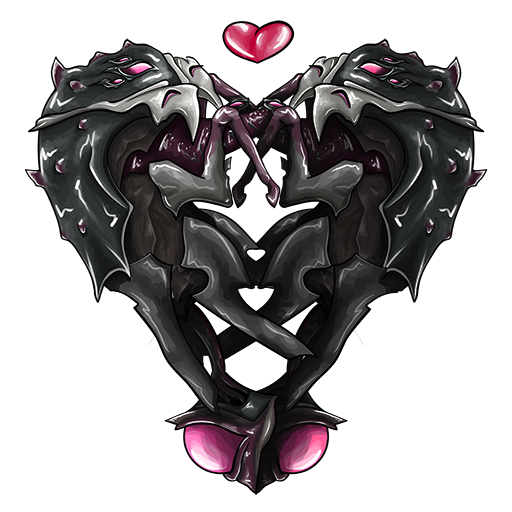 I really think you guys should move from operator-centric gameplay in general and go back to warframes roots, you guys had put more work into lephantis than this. The flow hasn't been the same ever since i haven't been able to use 90% of my arsenal from being obsolete in most of the important things to play, and I think ever since explosive weapons could never hit the weak spots on bosses, I was worried about the selection of weapons that can only be brought into a mission if you want finish in timely manner or finish it at all, so this includes melee not being able to deal with bosses that have weak spots that are complicated to reach and has been something melee should have a work around a long time before the melee update imo. You can't fight every boss with melee, and I never understood why since the beginning they flat remove mechanics you learn while playing the game only to never use what you learn in these tests the game builds you up for never made sense to me and will always be the biggest inherit flaw to this game for me. I have no idea they actually told free players to wait off for people with money to buy off? Did you forget the time it takes to make one of your warframes in your game or has the ego gone to your heads? Its 4 days worth of wait to make a single warframe, so not only are you making the free players wait longer to get the frame, but you aren't even showing the timesink involved for participation. You are making free players wait longer deliberately so people can buy the frame early even before the events conclusion yea? I don't know how many people actually know what the function of a auction house does, when you put an item for sell, be it: bidding, selling, there's should be a tax in place scaled to the desired price. You don't have to bid for items either you can flat buy items. The third option included would be a requests for trades and let's you type out the offer for the item and shows the item as well. I know a lot of people are against it just because it doesn't allow people to haggle, but why does platinum need to be the only thing in consideration but not everything else in between? I don't think players should have to buy platinum to trade with people if they have something else they could put up to offer only because that would help players that don't have platinum to offer. The important detail is that platinum should be offered in the third option of trade because i don't think the auction house system was made for real money currency. how do you get that infested icon. If you're going to add more new/sub-variants of arch weapons, can you at least make it fun to grind them? Archwing Interception and Sabotage are boring (no one likes interception I've had several people leave during several runs past and present.) and atmosphere is limited to the point of rage inducing when i have to wait and wait to use it to then stand still and get shot meanwhile all that's happening. Archguns aren't really that fun with their feel, like i'm suppose to be 'powerful' or having a moment of glory, because in actual gameplay it feels like i turned myself into target practice for nullifying enemies to lay me down to play in the mud. Seriously don't stop working on archguns if your plans to include them and be mandatory to only result in people having nothing substantial to play with them. Archguns at this moment need to be off the gearwheel or be not buggy at all when trying to launch(your moment of glory shouldn't get you killed or prevent you from actually having it) and be available to use so you can actually level them, yea i know its a crazy thought but that's why i didn't want any cooldowns so I can level them without it seeming like a giant time sink (it will be anyways without any new fun missions and the lack of actual availability of said weapon beyond archwing). Orbs knockbacks break archgun deployment around bodies of water. no rework to his boring kit eh? Not even a bit?